John D Rockefeller. Cornelius Vanderbilt. Andrew Carnegie. John Jacob Astor. Henry Ford. 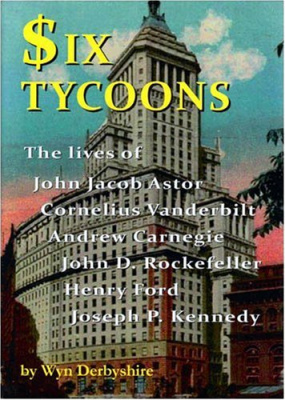 Joseph P Kennedy.Even today, long after their deaths, the names of these six men continue to be associated with wealth and power.When they were alive, they dominated their worlds as fewmen had done before, and few have done since. 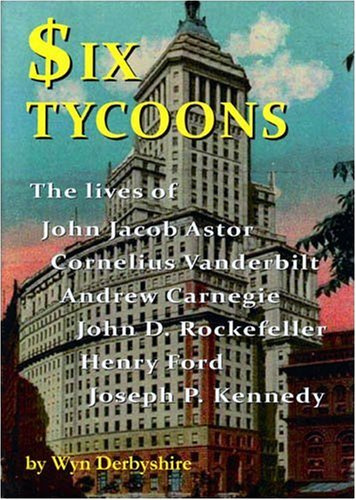 These arethe life stories of six of the richest men who ever livedin America. Their lives offer us windows into ways oflife over two centuries that most of us can only imagine,and an opportunity to glimpse times when laws, attitudes,prejudices and opportunities were very different fromtoday. Their achievements - financial, political and social - continue to affect us, for good or ill, to thisday. Their mistakes still offer important lessons about the acquisition, use and abuse of wealth and power. And had they not lived, the history of America - and the world - might have been very different indeed.